Beautifully handwoven with a colorful pattern from polyester, jute, and cotton, this charming area rug from Timbergirl is a great way to bring a splash of color to you decor while also protecting your floors. 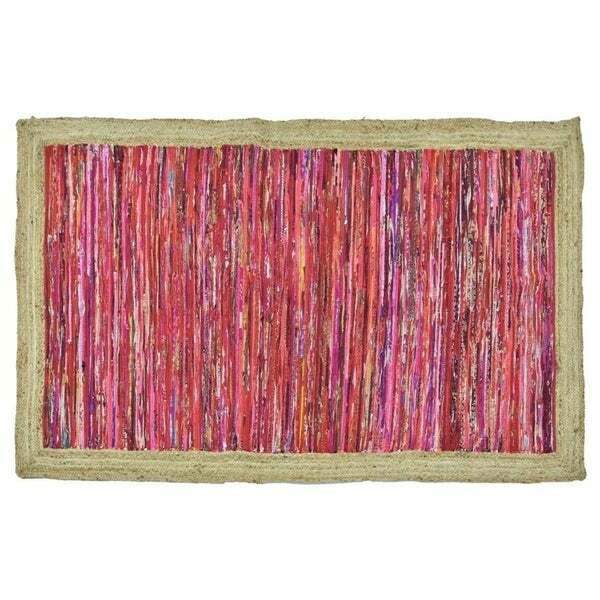 Hand-spun jute fibers are naturally silky, highly durable and are a fully renewable resource. Features: 65% Polyester/25% Jute/10% Cotton Hand-woven Red with braided jute border Latex free Rectangular Tip: We recommend the use of a non-skid pad to keep the rug in place on smooth surfaces.